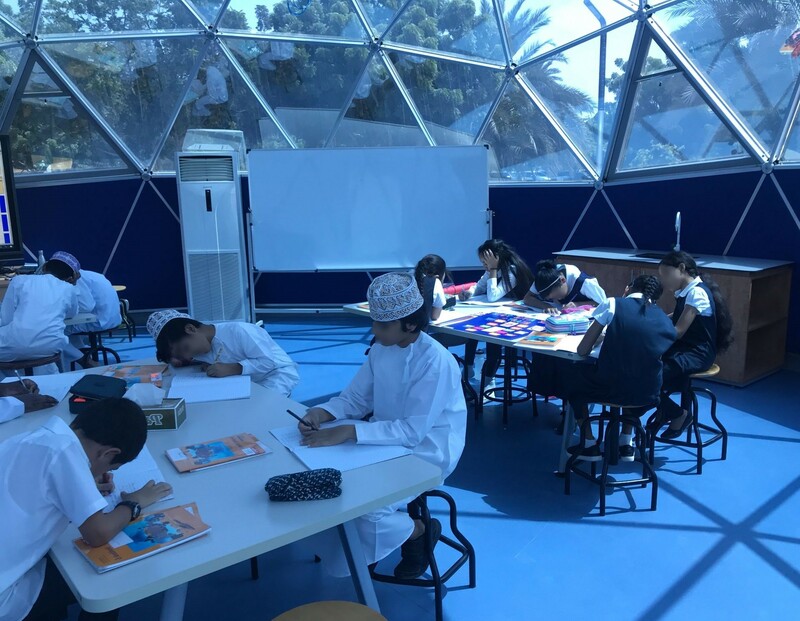 The Sultan’s School, which offers an Arabic-English primary and secondary education, was looking for a robust structure that would act as an inspirational space for their students. And after a thorough consultation process, they opted for our PRO architectural system, which was designed to their exact specifications by the Solardome team and shipped out within 14 weeks of the order. The Sultan’s team were in pursuit of an industry-leading science lab that could accommodate other functions, in order to maximise their investment. They initially considered our glasshouse range, but decided on our high-spec PRO system after being inspired by our state-of-the-art STEM facility at Watford Grammar School for Girls. 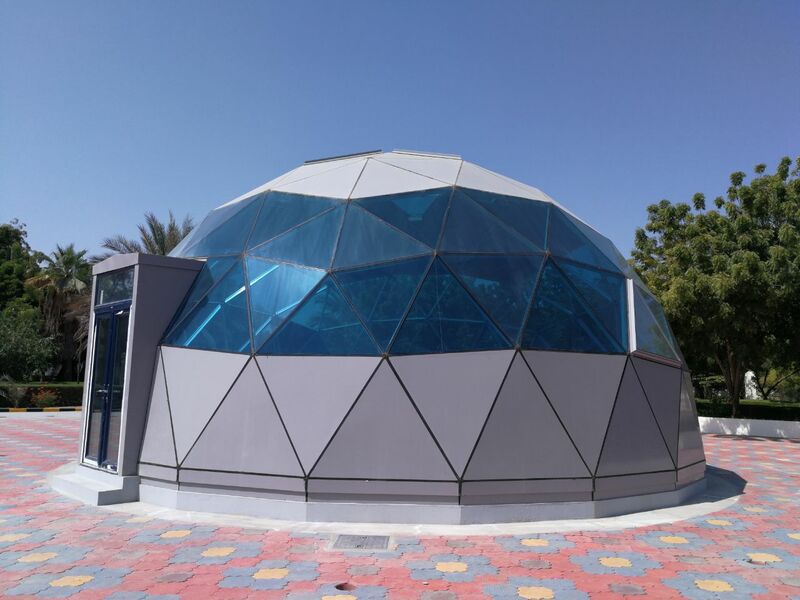 The school, located in Oman’s capital Muscat, which prides itself on producing ‘globally outstanding’ students, saw the 10.6m Solardome® PRO as the stand-out solution – a stunning outdoor structure that would bring learning to life. David and his colleagues also benefitted from a comprehensive ship-out service that was managed entirely from our Southampton office. Since its arrival on campus, there has been a buzz about the building. 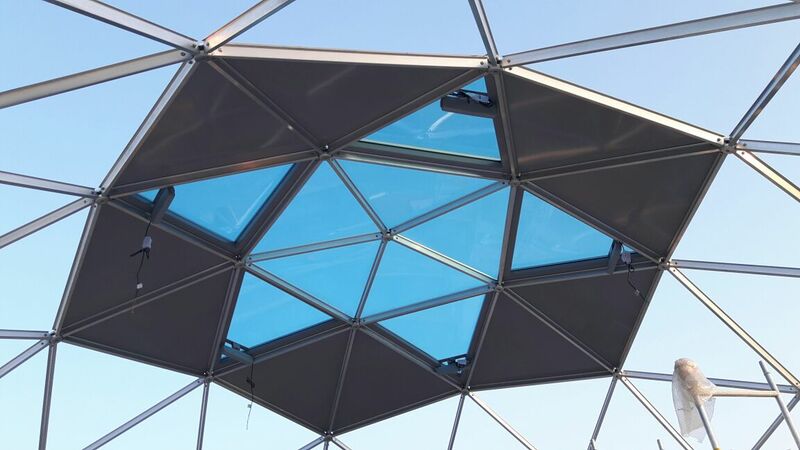 Our experienced team thoroughly tested the system, and even completed a frame test build at our Southampton premises to ensure the structure was thoroughly quality checked – for what was the first Solardome® PRO to be installed by self-assembly. During the build, the school’s maintenance team, led by Operations & Campus Manager Ahmed Al Alawi, were able to follow our installation guide from start to finish without any issues. The impressive geodesic structure now sits proudly in the north-west of the 500,000 sq/m complex and, following the build in 2017, the Sultan’s staff spent much of 2018 kitting it out to create a superb MakerSpace. “The progress we have made with the space is impressive and we now possess a space which is perfect for primary science lessons. The adaptability of the space also allows us to use it for other events, such as Model United Nations,” said David. But, as the school continually strives to inspire creative thinking in its students, they remain committed to enhancing the space further to maintain a top-class learning environment that is ahead of its time. 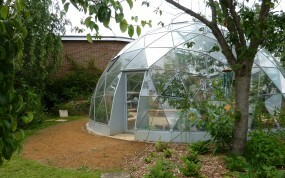 The challenge To provide a robust outdoor structure to serve as a science lab with a ‘wow’ factor for up to 24 students.